With a series of tricky spacewalks scheduled to occur over the next two weeks, NASA is attempting to solve a spacesuit problem connected to a 2013 scare in which water entered an astronaut's helmet. Although NASA insists the spacesuits that will be worn by astronauts Barry Wilmore and Terry Virts during their space walks outside of the International Space Station – originally planned for Friday, but rescheduled for Saturday - engineers have expressed concern with a part known as the fan pump separator, which helps to control the spacesuit's temperature. "That is the same area of concern we had back in 2013 when we had the issue of the water in the helmet," Kenneth Todd, International Space Station Operations and Integration manager, told reporters. Todd was referring to an emergency situation involving Italian astronaut Luca Parmitano during a spacewalk in July 2013. Water suddenly flooded his helmet while he was outside of the ISS. Parmitano made it back to the ISS having nearly been drowned. The problem now facing the crew of the ISS is not the same, Todd said. In December, as astronauts were performing regular maintenance on the spacesuits, they discovered that the fan pump separator was not operating properly. A spare part aboard the ISS was used as a replacement, which has since been working “with no issues,” Todd noted. More recently, on January 20, NASA commander Barry Wilmore was working on the cooling loops on another spacesuit when he heard an "abnormally loud fan pump separator," according to NASA's ISS blog. "We were doing the same kind of activity and encountered the same type of failure," Todd told reporters, as quoted by AFP. "That got us thinking: what has changed? What is happening?" Since then, a new spacesuit was delivered to the ISS and will be worn by Wilmore during the spacewalks. The other spacesuit, with the replacement part, will be worn by Terry Virts. The part has shown some indications of corrosion, but it is working, Todd said. "The two suits we are going out with have operated every time we turned them on," he emphasized. NASA engineers believe that small amounts of water are accumulating around the fan pump separator whenever the suit is in use, leading to corrosion over time. 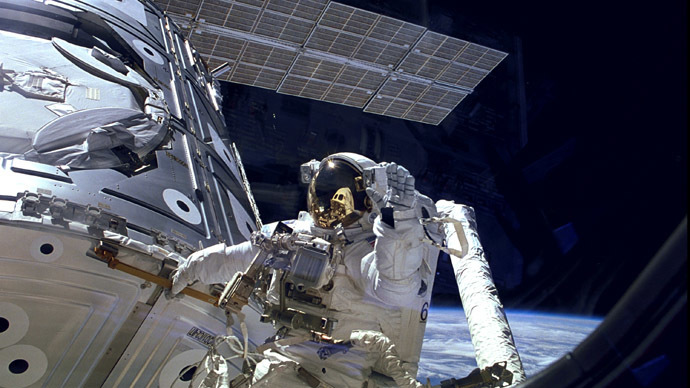 If the pump were to fail during the spacewalk, the astronauts would return to the outpost. "This is not a risk to the crew in terms of loss of life," Todd noted. 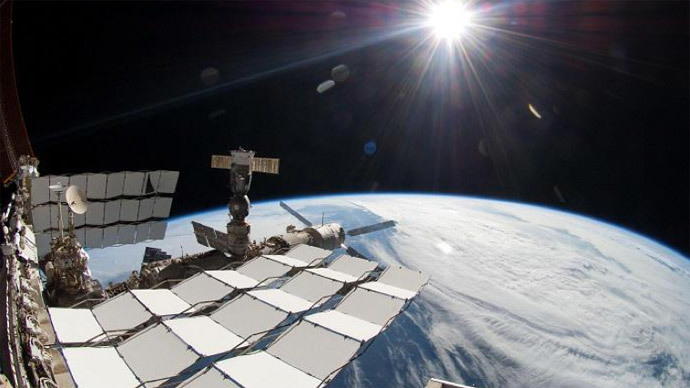 The spacewalks are planned for Saturday, February 21; February 24 and March 1, each starting at around 12:10 GMT and going for about six hours. The spacewalks are for placing cables and communications gear for new docking stations at the ISS. This spacesuit malfunction is the second hurdle to confront NASA in as many months. In January, the threat of a possible toxic leak in the US sector of the ISS forced the US astronauts on board to abandon their module and move to the Russian sector. The hatch was reopened hours later after no leak was detected, NASA reported.